A foreign currency trading Entry order enables traders the chance to enter a market for a price that is different to the current currency price. Placing currency trading entry orders is done when the trader wants the order to be executed at a later time and for a different price. Using entry orders correctly is one of the basics of currency trading, so before you do any currency trading, check out this page first. When are entry orders used? 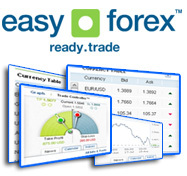 Use entry orders when the currency trading stock fluctuates. For example, if the currency trading quote, EUR/USD, gains 15 pips, you might think the currency will drop again. Instead of waiting, you can place an entry order, and the currency trading transaction will take place only if the currency actually drops. This way you don't have to wait and see if it drops. If the currency trading price never reaches your entry order price, then the order will never be executed. Most Importantly, Always place a stop for all entry order you make! This is because for the previous example, the foreign currency trading price could crash down and your entry order would still be executed. Place the stop to protect your currency transaction from bombing. Be sure to check out other guides that teach you to place orders on the foreign currency trading market.